By now, you’ve established your brand and now you’re searching for something new to jazz it up…something different…something to distinguish you from the rest of the group. Vizify is a great way to showcase YOU. Show your “Googlers” what you’re all about it, in a quick 30 to 40 second video. Vizify creates a paginated profile that visualizes data from social media accounts including Facebook, Foursquare, LinkedIn, Instagram and Twitter. Once you input all those sources, your profile will run about 11 pages — but you can edit everything and create new pages, each page focused on one content type: photo, factoid, quote, links and more. Co-founder and CEO Todd Silverstein says they interviewed more than 200 hiring managers, who say their biggest pain point is finding a cultural fit. Vizify’s graphical bios aim to showcase achievements alongside interests and quirks. So, I say you head over to Vizify and create your very own, “This is me” video recap. It’s awesome and you’ll love it. Easy to use and really fun. You can add the link to your email signatures, Blogs, LinkedIn profile and share it on Facebook. You can check out mine, here. I created it in about 10 minutes or less. (Let me just say it again, it’s so much fun). 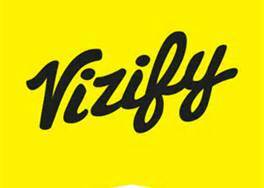 Vizify: Plug in your social media sites and create a series of interactive infographics that show the best of you.